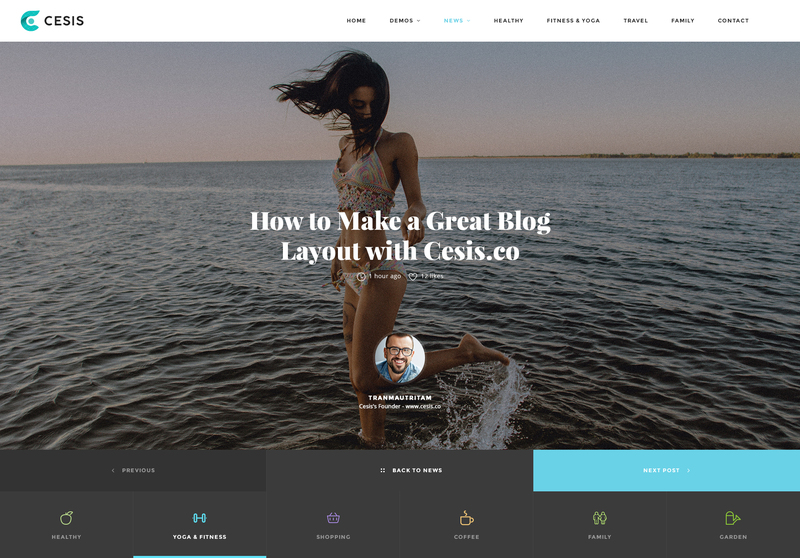 Cesis – New WordPress Theme Released! 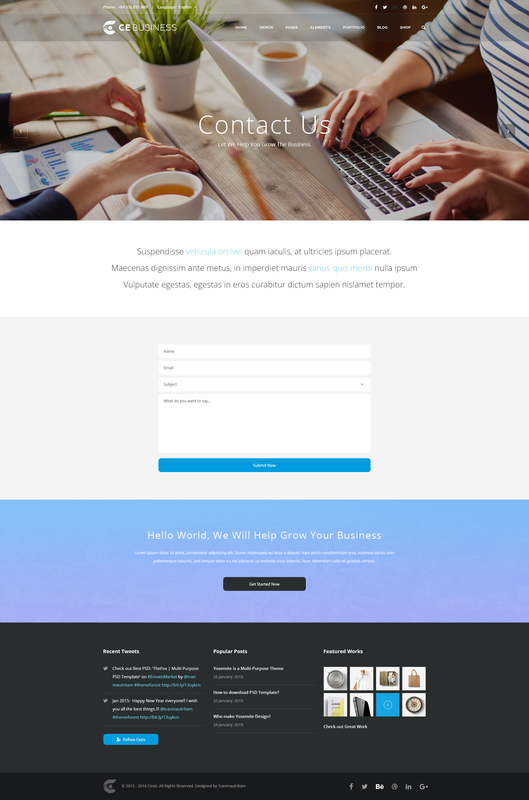 What is Cesis PSD Template? 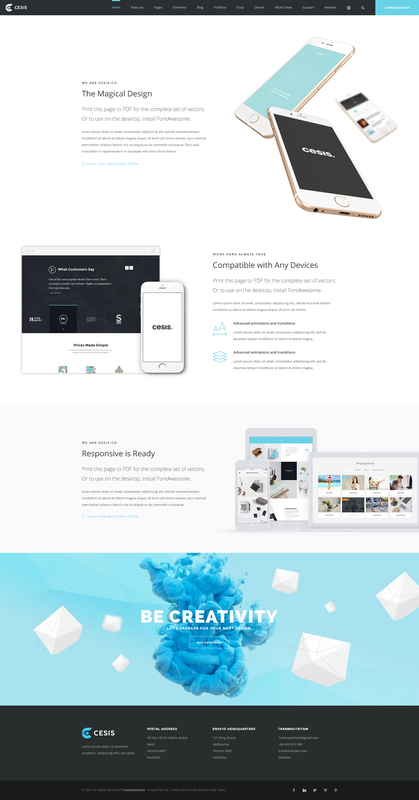 Cesis is The New Ultimate Multi-Purpose PSD Template of 2016. Cesis is very Clear, Super Flexible and full of Powerful Options. A lot of Incredible Ideas are included on Cesis. It is arranged by the innovative, sensible and smart way. Cesis is built by strong concerns for the User Experience and the meticulous for the User Interface. It responsive rigorously the needs of web design quality in the whole world, where a million of the unqualified website has removed. I spent a long, long time for the idea and development. 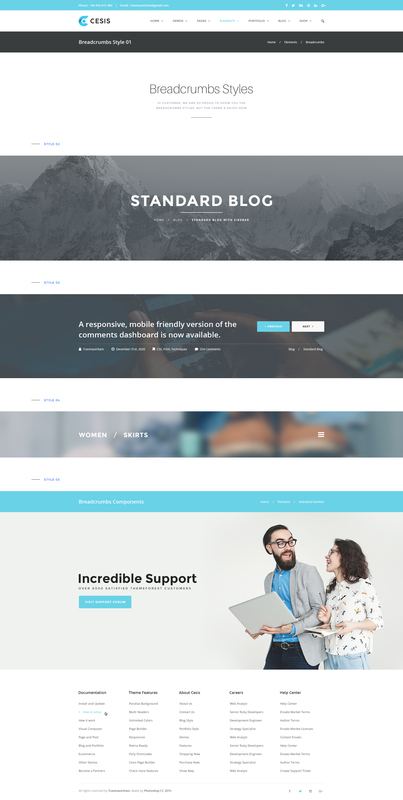 Built by Tranmautritam – The Featured Elite Envato Author – who made TheFox PSD from an unpopular template to The #1 Best-Selling PSD Template of all time on ThemeForest. Moreover, TheFox WordPress become the Weekly Popular Item in 2015 – 2016. Cesis is TheFox’s Next Generation – Tons of improvements since the TheFox PSD, tons of creative designs included, absolutely can help you to grow your business, to increase the speed in making up ideas and to deal with sophisticated clients. If you are looking for A Stunning Design to blow up the whole world, Cesis is an excellent choice that you need to be done. 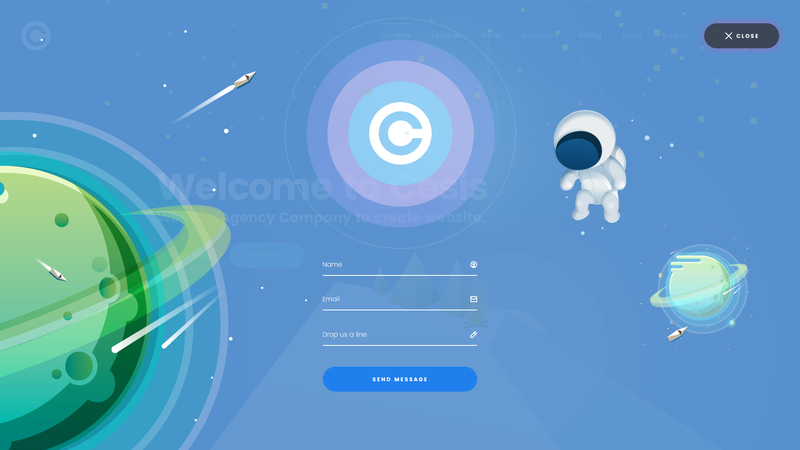 If you want to speed up your design process and impressive the performances to the customers, Cesis is A Perfect PSD to build your dream websites. Just need to pick up the style you like and start to make your clients happy forever. It’s worth every penny! I’ve highlighted some of Cesis’s features below, check them out! 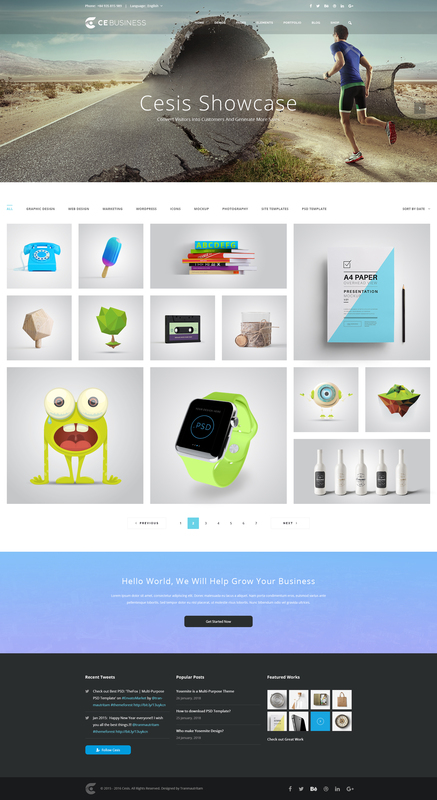 The fancy multi-purposes design can be used for any website: business, corporate, fashion, portfolio, blog, products, etc. Buy Cesis and be a part of this awesome community! Are you ready to explore Cesis Design? 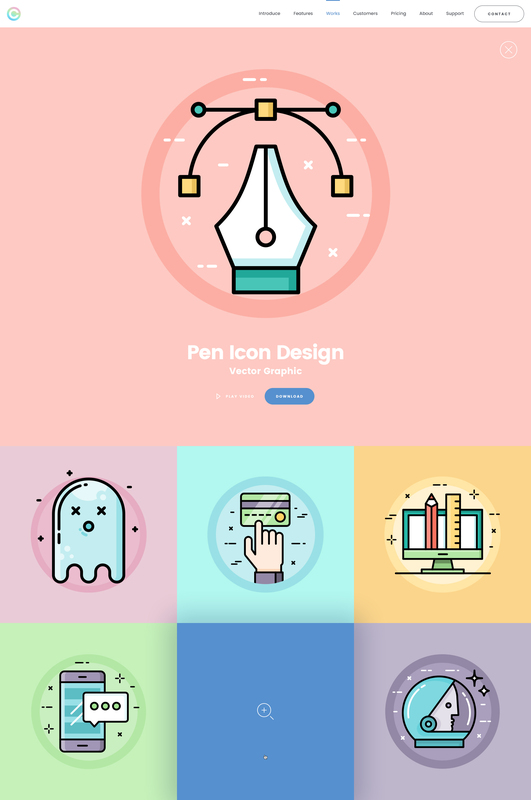 A ton of creative ideas included in Cesis PSD Template to make sure you complete the project without having to take the effort to think. Cesis is not only beautiful but also, It is very creative and flexible, easy to customize. Let Cesis help you in design and make your clients happy. Made by Envato Featured Elite Author. 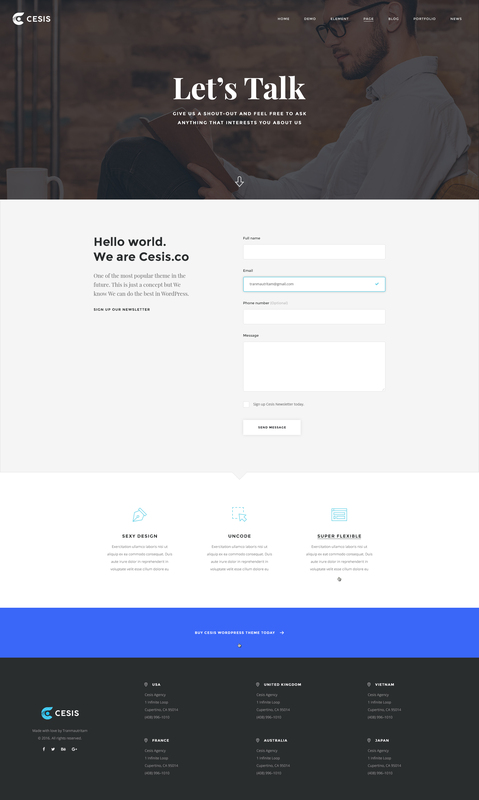 Cesis is made by Tranmautritam – The Featured Elite Author on ThemeForest, who make TheFox PSD from a no name PSD Template to The #1 Selling PSD Template of all time on Themeforest. I know what you need, I do what you want, and I sell what you are looking for. Trust me! What you are checking is just a beginning. I am still working on the new updates to make sure you own a perfect design package. I have a lot of things I would like to make your happy with Cesis Designs in the future. Don’t forget to follow me on the social network to make sure you get the updating notify. 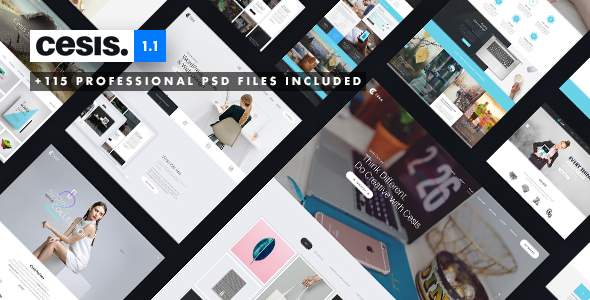 Hundreds of high-quality PSD Files included in the final purchase file to make sure you have enough stuff to work on any web design project. Imagine you have an emergency project, You just pick up few styles from Cesis to do an excellent presentation to show off to your customers. Done! 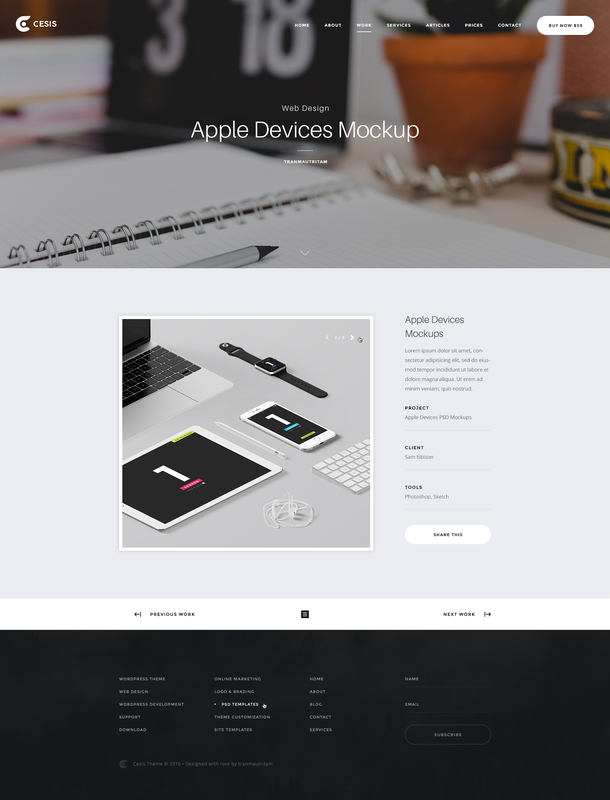 Imagine you have to buy a lot of PSD Templates to pick up the ideas for each design project. 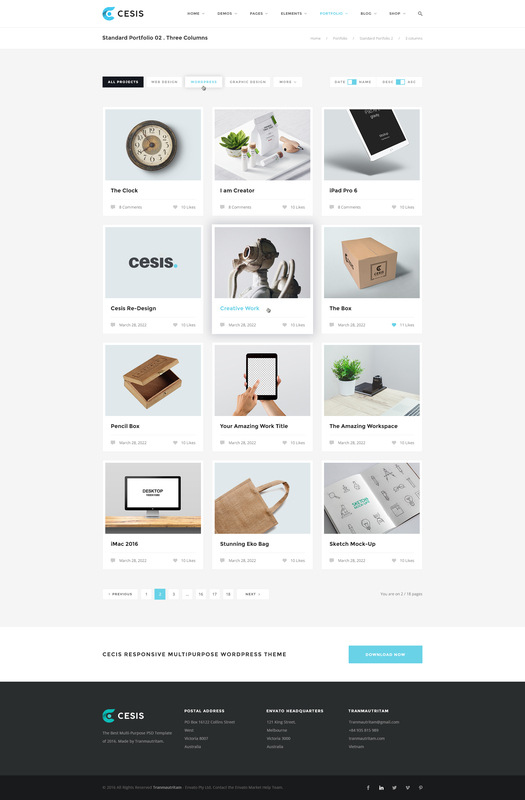 Now you only need Cesis PSD Template, hundreds of amazing designs are waiting for you with only $15. Wow. Cesis PSD is The best investment. 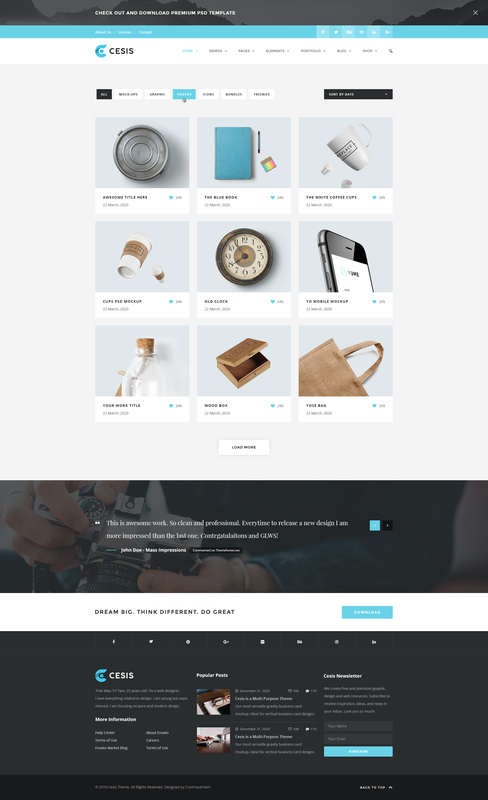 Based on 1170px Grid System – Well Grid & Guide. 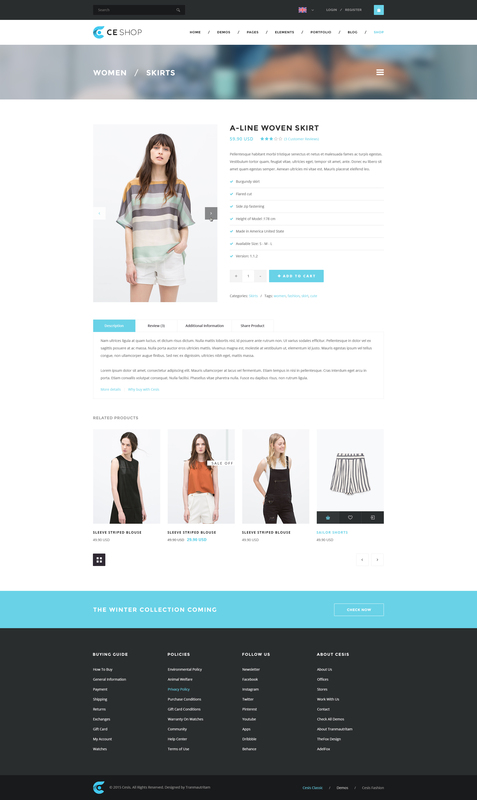 Guide Layout will help you easy to Drag and Drop the elements and speed up your design process. Let‘s make the pixels perfect. All components designed with careful, meticulous, and they have extremely high accuracy. Quality assurance of Perfect Design. Well Orgranized Layers & Group. All layers and group are named, arranged in a scientific way and carefully to ensure that all users understand and easy to use. Easy to Customize Photoshop Files. Super easy to modify all Cesis’s design element with only a few clicks. No need to have so many design skills. Cesis is for everyone. All design elements were making by Shape Layers to make sure you can resize any object for Retina resolution. Almost of main fonts are using by Google Fonts. It is totally free and easy to install with a few click. Let’s make the life easier. Urgent Project? Just open Cesis PSD and find the elements you want to speed up your design process. Just drag & drop and well done! Easy to find the PSD files you want in your OSX Finder or Microsoft Window because Cesis PSD has a great documentation for you. Made by PS CC 2015. We use the latest technology – Photoshop CC 2015 to build the perfect product for you. Artboards are coming in the next updates. 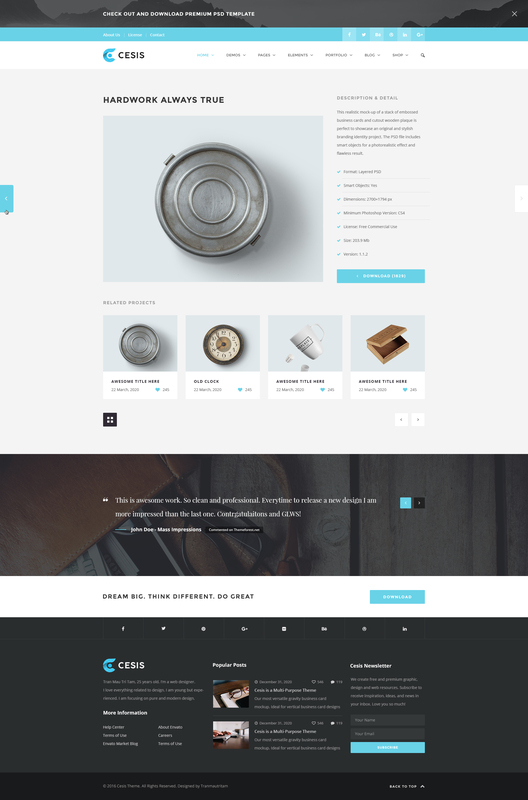 A lot of Stunning Pre-made Layouts included in Cesis PSD Template, You even no need to drag & drop the element. Just use already files. Super Clean and Clear layouts. Galaxy, Artemis, Fancy, Zeus, Yosemite, Capital, Capital S, Hera, Poseidon, Hades, Hestia, Athena, Artemis, Apollo, Ares. 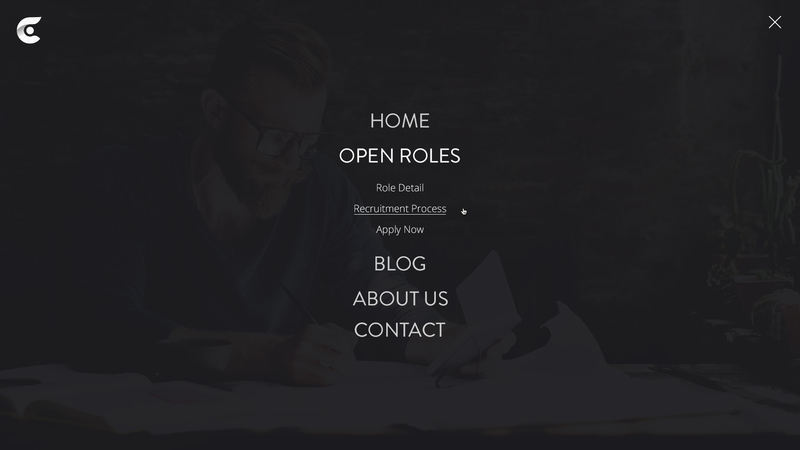 14 Header Styles, 1 Side Menu Style, 5 Breadcrumb Styles, 1 Dropdown Style (5 PSD): Full-Screen 01, Standard 01, Side Menu 01, Breadcrumbs 01, Dropdown Style 01. 19 Footer Styles (2 PSD): Footer Styles 01, Footer Styles 02. 29 Icon Boxes (4 PSD): Icon Boxes Style 01, Icon Boxes Style 02, Icon Boxes Style 03, Icon Boxes Style 04. Free Font Based Icons by Font-Awesome, Free Font Based Icons by The Elegant Icon Font, Premium Icon by Shutterstock.com. This is just a part of what is included in this theme. There is much more in there so you should check out the screenshots. 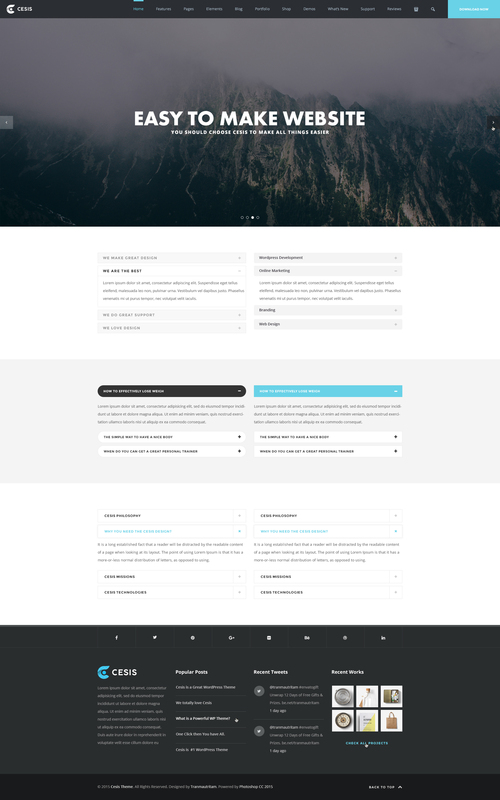 If you have any questions about customization of this template witch are not covered in the documentation feel free to ask a question in the comment section or contact me directly via e-mail form on my profile page. © 2016 Tranmautritam. All rights reserved.